I recently came across a group of bloggers which blog weekly on Saturdays about health and fitness. Unfortunately I missed the first week, but I'm jumping right into week 2! What has your workout experience been in the past? I've been off and on diets since the 6th grade, but my main workout experiences have come in the last 2-3 years. I've come to realize I can cut back on eating, but unless I add exercise I'll never lose more than 5-10lbs. I build a mental block against exercise and I tell myself I hate it. As a result, I tend to like exercising without feeling like exercising, like working out with friends, dancing, or walking. I would say walking is my favorite form of working out. I love walking with friends, it makes the time go by faster. Once I walk for about 2-3 weeks, I like to sporadically add jogging spurts. And this usually leads into the Couch to 5k program (C25k). Another workout I've recently stumbled upon is zumba. 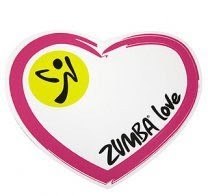 I love zumba! The best way I believe to do zumba is in a class setting with an instructor. I'm not saying the cd's or the Wii game aren't great too, but especially for beginners, classes are the way to go. I usually burn about 500-600 calories a class, and feel like I was dancing the whole time! Another workout I came across around the same time as zumba is spinning/cycling. Wow. Where to start? A great workout, great music, but painful. I'll leave it at that. If you've done spinning, you know what I'm talking about. Have you had a workout Plan before? If so, how long ago was it, and were there any difficulties you had with it? I've never had a set workout plan before per se, but I would look at a month at a time and map out which classes I would go to versus when to do c25k. It's funny. I say I hate working out, but that's always me just being lazy. After I work out I am exhilarated! Between the feelings of accomplishment and the endorphins flowing, I feel like I could conquer the world! 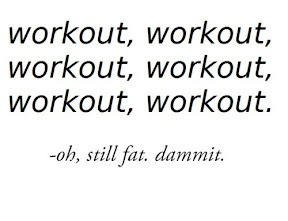 I vow this week to workout a minimum of 3 times. This will include a 50 minute zumba class, an hour walk with my friend, and a walking/elliptical combo. I will report back my progress next week? Hey there doll!!! You won my giveaway!!! Send me an email with you address and I will mail out your goodies Monday, congrats!!! Im so happy you won! I think these are all wonderful ideas! 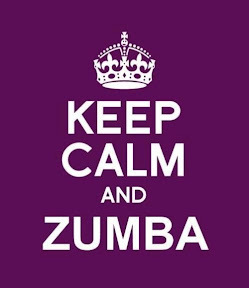 Honestly, I have never tried Zumba before, but it seems like everyone how has absolutely loves it. It sounds so fun! Very excited to have you along for the Bloggers for Health challenge. Thanks for joining! I feel just like you. I'm just a lazy bum. If I do workout it's usually because some person who calls themselves a "trainer" is "motivating" (more like yelling) me to do it or I'm dancing/running with friends and it doesn't feel like a workout at all. 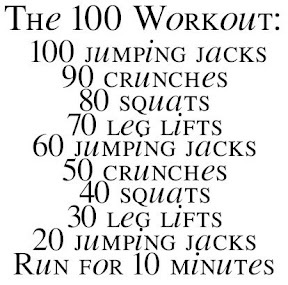 I'm gonna start with the 100 workout you posted. Sounds tough. I've done Zumba several times, and it does give you a really good workout. But I get tired of the Latin music, so I usually go to the hip hop dance classes instead. I'm doing the Bloggers for Health challenge too, but I haven't figured out my exercise plan yet. Aww, I'm so excited I could motivate someone!! Now how can I motivate myself? ?